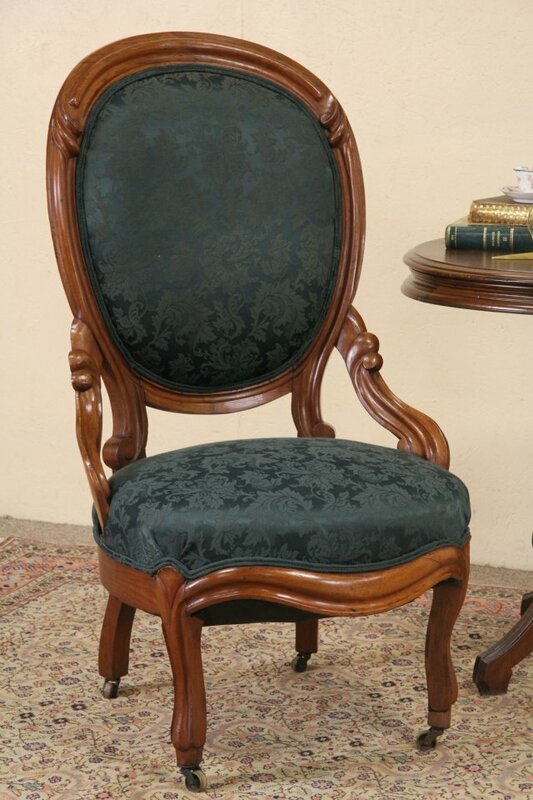 Hand carved of solid walnut in the 1850's, this Victorian "balloon back" chair has graceful curves on every side. The finish is in very fine condition. Springs are firm and the upholstery is unworn and has slight fading, see photos. The good sized frame is tight and strong, brass wheels are original on this American made antique furniture. Size is 21" wide, 28" deep, 40" tall and the seat is 17" high.